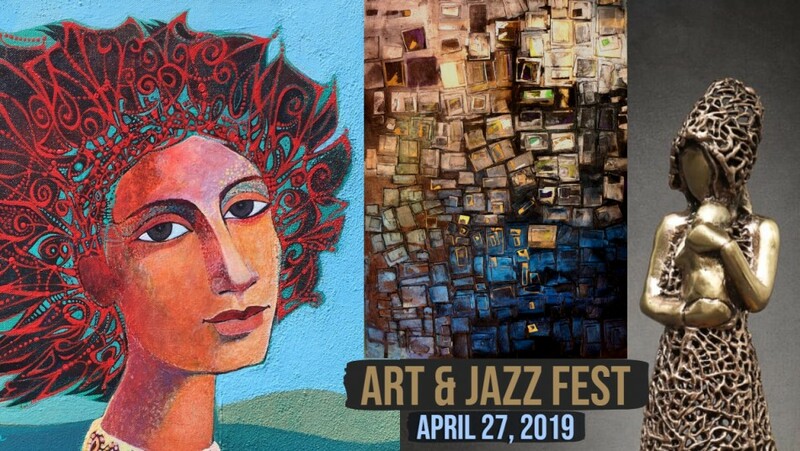 (PHILADELPHIA, PA) – On Saturday, April 27th the Armenian Educational and Cultural Society of Philadelphia, also known as Hamazkayin, will host its inaugural Armenian Art and Jazz Fest in Philadelphia. The evening will highlight contemporary American-Armenian art and jazz. The art show will exhibit an eclectic collection of fine paintings, photography, fashion, and jewelry created by renowned Armenian artists from around the globe including: sculptor Michael Aram, fashion designer Kevork Shadoyan, three generations of Elibekian painters, Philadelphia artist Armen Yepoyan, and many more. Patrons will have the opportunity to purchase all art exhibited at the event and meet special guest Patricia Field, Emmy Award winning costume designer, stylist, fashion designer and fashion icon. Field also received an Academy Award nomination for ‘The Devil Wears Prada’, as well as continued recognition for her work on television series such as Ugly Betty, Hope & Faith, and most recently for the hit TV Land series ‘Younger’. 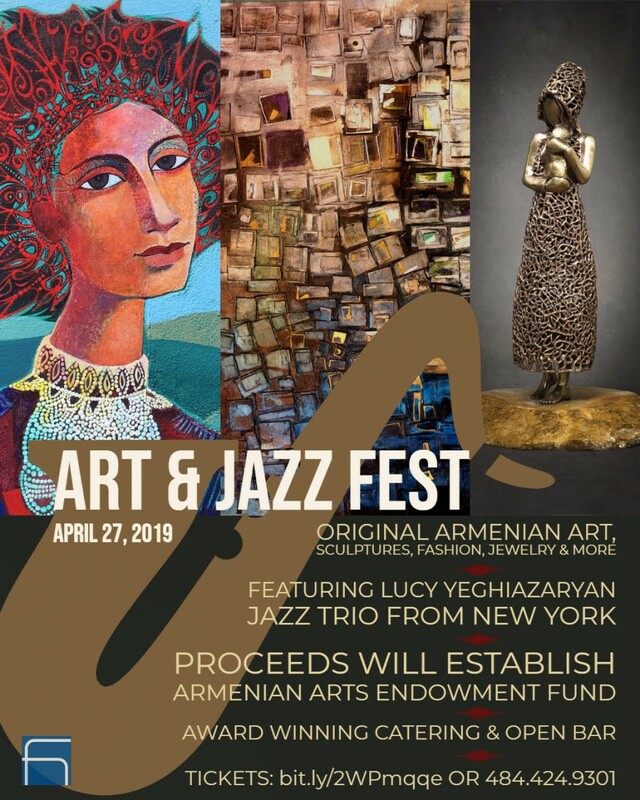 The evening will feature LIVE music from Lucy Yeghiazaryan and her Jazz Trio from New York City. “Armenians have made significant contributions to the arts, sciences and humanities. We have given the world Charles Aznavour, one of France’s most popular and enduring singers, Serj Tankian of System of a Down, Aram Khatchaturian’s Sabre Dance, and more,” says Lorig Baronian, Chair of the Art and Jazz Festival. “Art is the rich tapestry that weaves our past with our present and future. As a nonprofit, our mission is to encourage and empower young Armenian artists.” All proceeds from the event will help establish an endowment fund to promote future generations of Armenian artists in the visual, applied, and performing arts. Art and Jazz Fest will showcase exclusive award-winning Armenian wines, sourced directly from Armenian vineyards. Dating back 6,100 years, the world’s oldest winery was discovered in Armenia in 2007. The country’s winemaking industry is experiencing a renaissance, with 23 wines winning medals at the renowned Mundus Vini Grand International Wine Awards in 2017.